http://usawatchdog.com/bubble-inflati… Author David Stockman warns, “This is not a viable system. It’s a house of cards . . . I think it will be a deflationary event.” Stockman, whose latest book is called “The Great Deformation,” goes on to say, “. 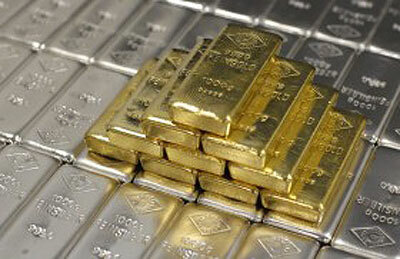 . . financial asset prices will collapse.” How does gold do in this calamity? Stockman says, “As they see those assets go up in smoke, I think there will be a flight to a monetary asset that people will have some confidence in, and gold will be that asset.” Join Greg Hunter as he goes One-on-One with former White House Budget Director David Stockman. These nine, comprising the ‘2013 November Nine’ have $26,662,046 of prize money to play for, including $8,359,531 for first place – plus the most bling-tastic WSOP gold bracelet ever awarded, and the title of reigning world champion. The Main Event featured 6,352 entries in 2013, creating a $59,708,800 prize pool. The WSOP awarded over $197 million in 2013. Gold And Silver – Charts Tell The Story. Decline Not Over. http://usawatchdog.com/michael-snyder… – Michael Snyder, Publisher of TheEconomicCollapseBlog.com says the next crisis, “will be like 2008 on steroids. . . . We’re living in the greatest debt bubble in the history of the planet.” Snyder suggests people need to take steps to protect themselves against this debt bubble bursting. Snyder says, “Learn how to grow good food, get alternative sources of energy, and hold gold and silver for the long term.” Join Greg Hunter as he goes One-on-One with investigative reporter Michael Snyder.